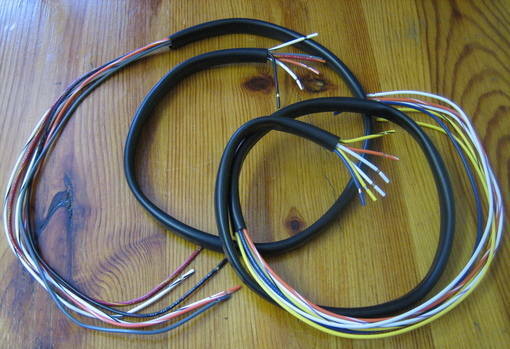 Kit contains....Clutch & Throttle & Idle cables in black vinyl with chrome fittings. 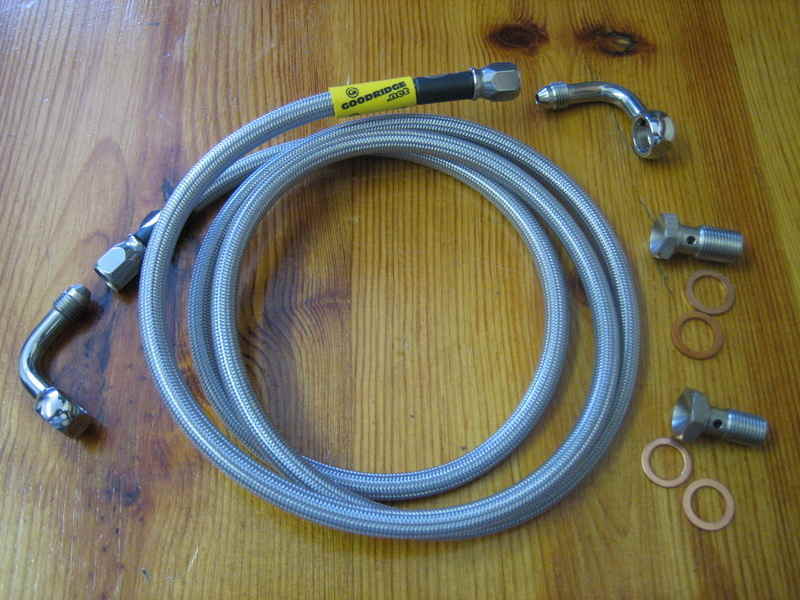 Top quality Brake hose by Goodridge with forever lasting Stainless Steel fittings ( not cheapo rusting chrome ) and the S/S braided hose is covered by a clear wrap to prevent abrasion into your cycle parts and prevents road grime penetration. 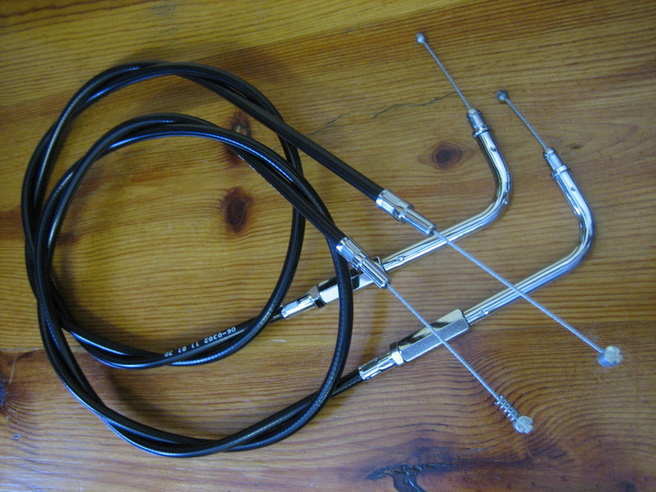 This listing is for models with S/S Banjo sizes of 3/8" at 90 degrees into the caliper. 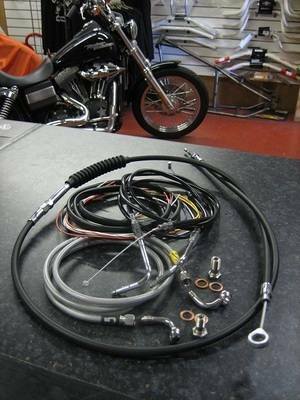 Please check that you need a 7/16" at a 90 degree angle for the mastercylinder and not the 3/8"....comes with bolts and copper crush washers.